FoodWell is a revolutionary concept brought to life in the heart of Manchester. Foodwell is a space for mindfulness, good health and great food, all under one roof, with its own wellness studio and event space. FoodWell is the new hub which has the whole city talking. FoodWell offers more than just outstanding food; it offers an opportunity to relax in an environment found in no other restaurant, encouraging its diners to practice mindfulness during their visit. 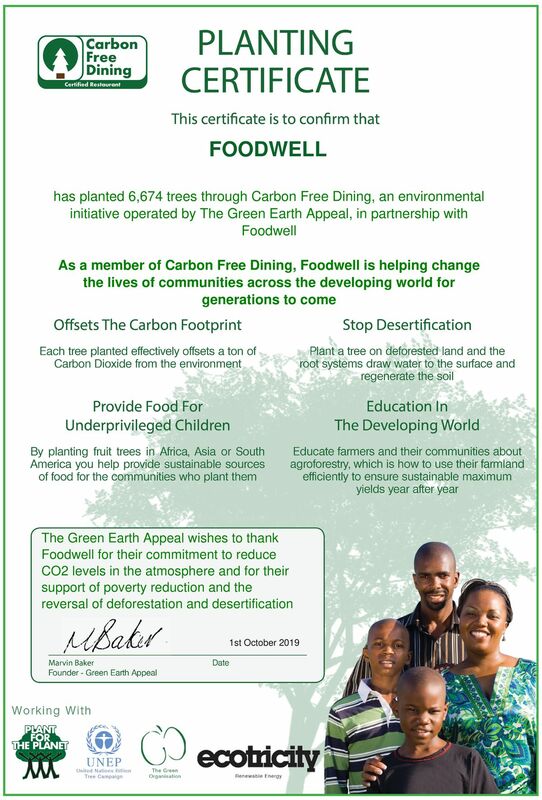 FoodWell Manchester has teamed up with Carbon Free Dining, the United Nations-backed Restaurant initiative. They have chosen to demonstrate their love for the environment by partnering with the programme. As a Carbon Free Dining Certified restaurant, FoodWell Manchester plants hundreds of trees each month, effectively offsetting the Carbon Footprint of the meals it serves. This is done by simply giving diners the opportunity of planting a single fruit tree with each bill for an optional 99p.